Day One of our "When Being Right is Wrong" Challenge. 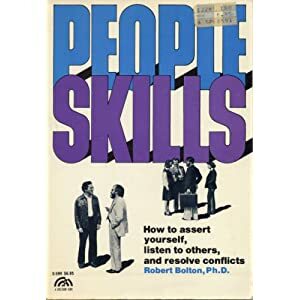 Dr. Robert Bolten, of the bestselling "People Skills" said this about his twenty-five year research on conflict: "Over 95% of all conflict stems from our own irresistible need to be right." At 5pm on Day One of the "Don't Be Right" challenge, check in with yourself. How did you do? Did you catch yourself struggling with inserting your opinion, being irritated with someone who didn't share your view? Did you notice how often other people (unknowingly) make you wrong in an effort to make themselves right? Share with all of us... what you did that was successful and what you learned when you weren't. Return from "People Skills" and Back to 30-Day Challenge"